Thanks to the generosity of our dedicated partners and donors in Canada, the Foundation is making significant progress in expanding our signature program, Wendy’s Wonderful Kids. Today, the Foundation is funding adoption recruiters in Alberta, British Columbia, Manitoba, New Brunswick, Newfoundland, Nova Scotia, Ontario and Saskatchewan who are dedicated to finding adoptive families for the more than 30,000 children waiting in Canada’s foster care system. 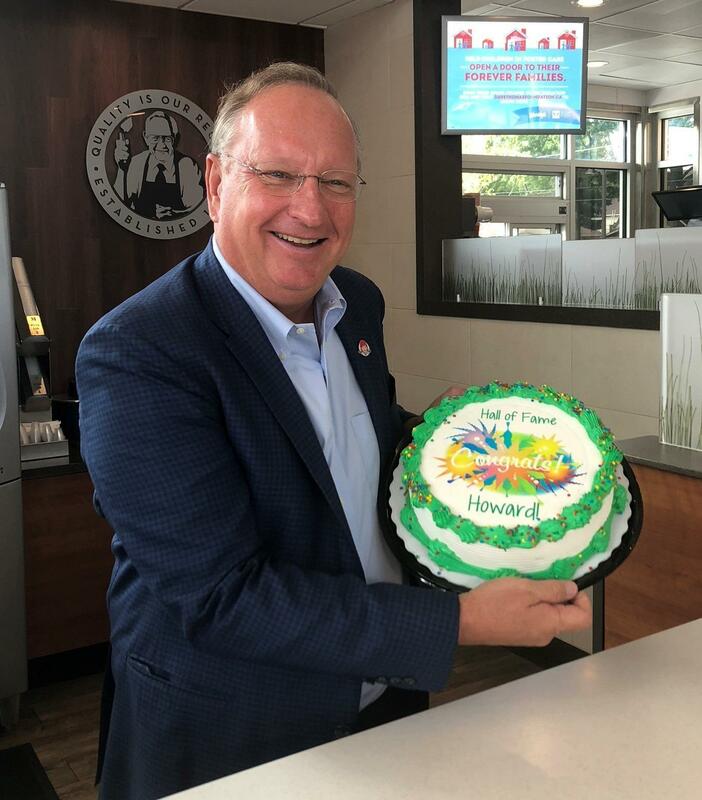 Thank you to Ontario franchisee Howard O’Brien, a 2018 Wendy”s Hall of Fame inductee, for his career of service in support of the Foundation! Wendy’s franchisees in Ontario are leading the way in their support for our mission through in-restaurant campaigns, such as Frosty Key Tags, Halloween Coupon Boo! Books, coin canisters, and point-of-sale programs, as well as other special events. Last year, Wendy’s nearly 200 restaurants in Ontario had 100 percent participation in initiatives benefitting the Foundation’s mission. “Our employees know about and understand the Dave Thomas Foundation for Adoption’s mission from their very first shift. We encourage our restaurants to set goals for every initiative and work with their teams to celebrate the hard work they put into raising money for an important cause,” shared Kathryn Chayka, a franchisee in Niagara, Ontario. Susan Allison, president of Affinity Food Group, Inc. in London, Ontario encourages her restaurants to engage in friendly competitions to exceed their fundraising goals. The company also creates tray liners and posters to build awareness of foster care adoption among employees and guests. In 2018, franchisees in Ontario were recognized at Wendy’s Convention for their commitment to building awareness and support for foster care adoption in Canada. Dave Thomas always reminded us that “These children are not someone else’s responsibility. They are our responsibility.” Thank you to franchisees in Ontario and across Canada for sharing this great responsibility with us. Learn more about the Dave Thomas Foundation for Adoption–Canada and give the gift of family at davethomasfoundation.ca.